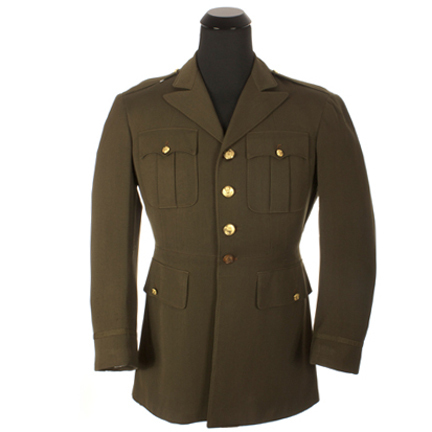 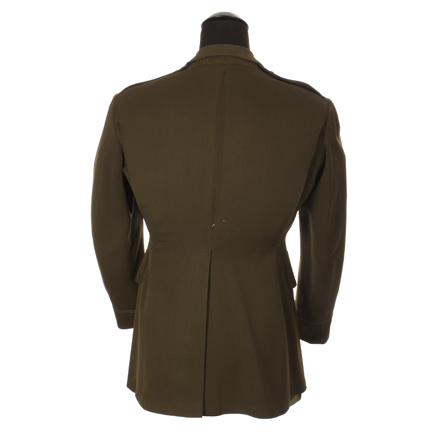 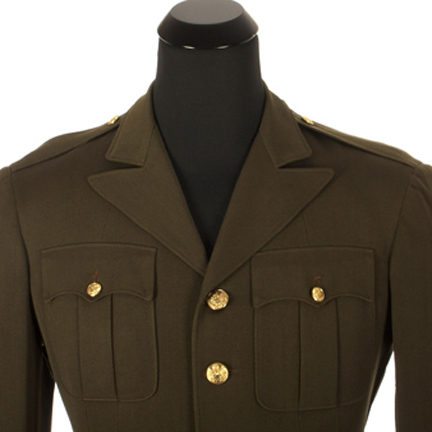 This class A Military jacket was worn by Joseph Cotton in “Hers To Hold”. 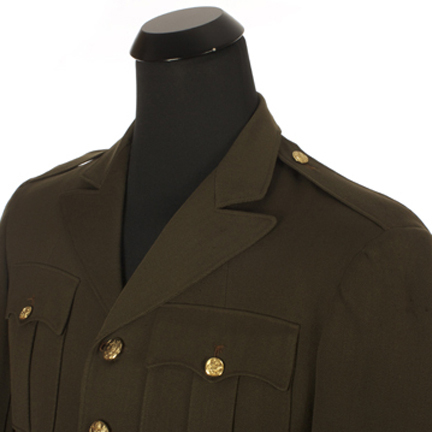 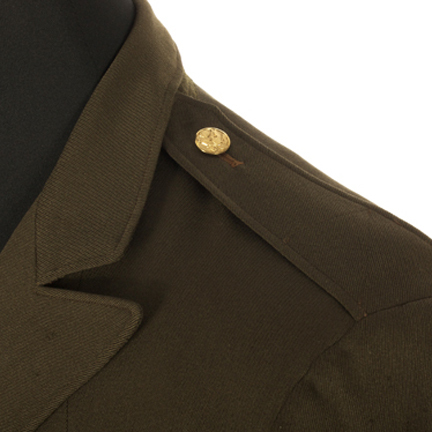 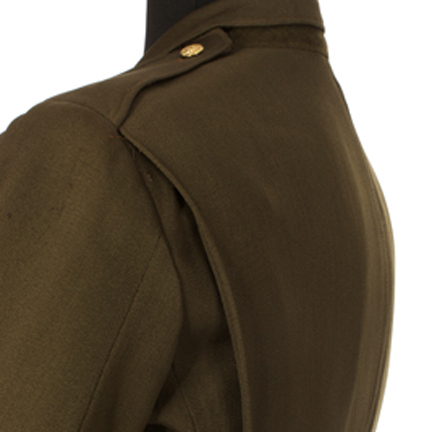 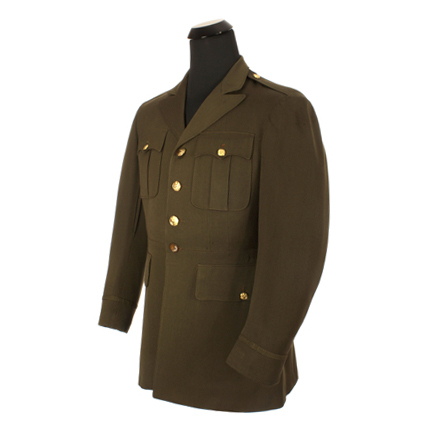 The OD green Military jacket with notch lapel, epaulets, two patch breast pockets, two lower flap pockets, and three gold eagle button front closure. 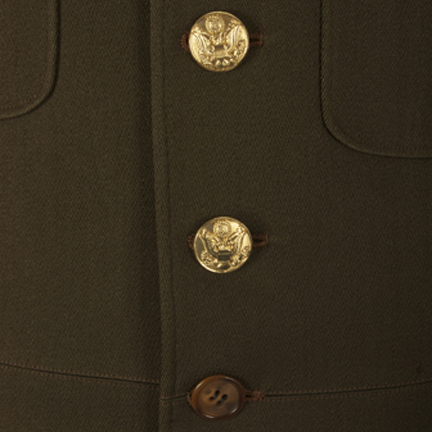 Internal Macintosh label inscribed Joseph Cotton 40, Mar’43, #93922” and stamped “Universal International Wardrobe, 42”. 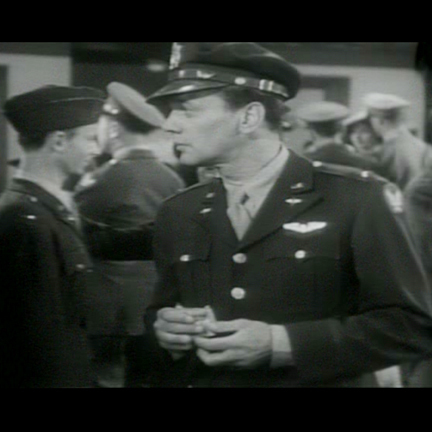 Mr. cotton wears the jacket at the airport when Deanna Durbin “Peggy Craig” says farewell. 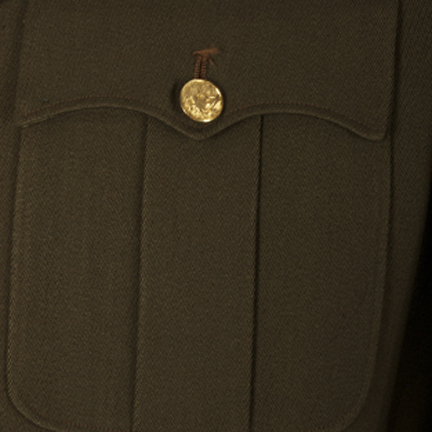 Insignia added for display purposes only.